Industrial works are inconceivable without technical aerosols. It is unlikely to find where these comfortable universal measures are not used. Aerosols apply to the heating, air conditioning, and sanitary ware, vehicles, in various industries, construction,the forestry sector, and services. We have more than 25 year technical aerosol production experience. Our customers and business partners are pleased with its very high quality and assistance consultation. To meet the latest needs of the market we are constantly improving our products and continuing to expand our offered services. If you don’t find a product you are looking for or you have questions relating to our products, please contact us. We hope to help answer all your questions. 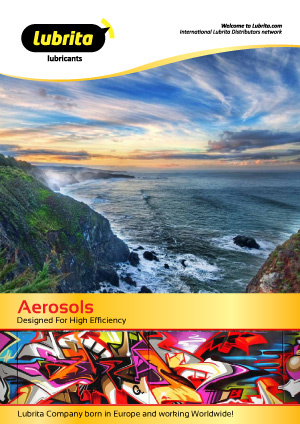 Lubrita Technical Sprays and Aerosols - Download Brochure.